What Does Mother Earth want to tell you? Since ancient times Gaia/earth, upon which we live, has been considered a living being capable of communicating to and through all living beings which reside here. It is the basis of all religion, whether the current forms wish to acknowledge the fact or not. This set of 40 stunning photographic collages (and the messages they have inspired) celebrate Mother Earth. 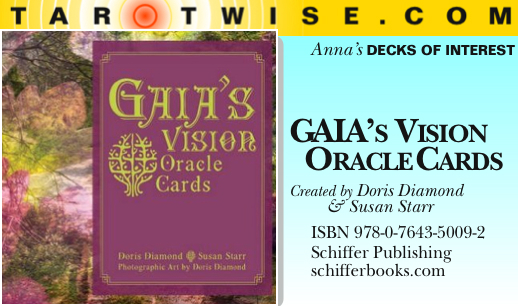 They are intended to open a door for readers to speak directly with Gaia themselves. It is a return to our ancient roots. The photographic collages are created from locations around the world and the concise guidebook helps to get readers right to the heart of deck.